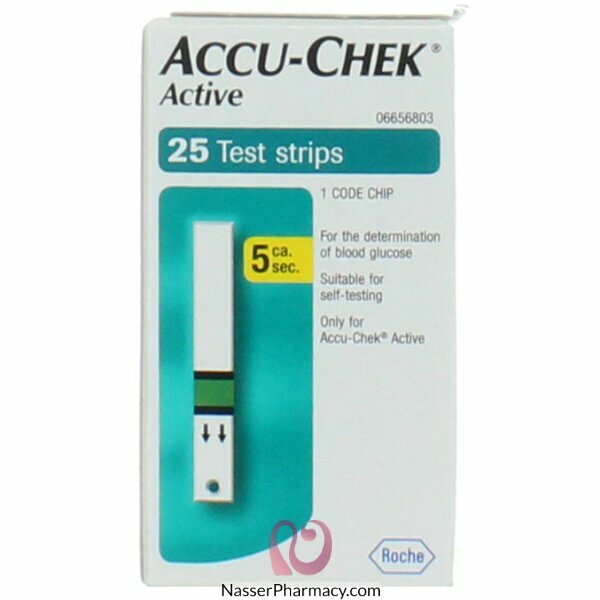 Accu-Chek Active test strips only require a very small blood sample to perform a blood glucose test – just 1-2µl of blood. Simple blood capillary action draws blood into the strip for fast, reliable blood glucose testing. Blood can be applied to the test strip outside of the meter allowing for greater flexibility and is particularly useful for people who have dexterity issues. Ensure your hands are clean and dry. Take a test strip from the pot and close the lid immediately. The meter will turn on automatically after inserting the test strip into the test strip guide (in the direction of the arrows). After a short display check and code number confirmation (corresponding with the code on the test strip pot), the test strip and flashing blood drop symbols will appear on the display. Apply a drop of blood to the green field on the test strip and remove your finger. The results will show after 5 seconds. The meter will turn off automatically by removing the test strip. The result is stored in the memory with date and time.